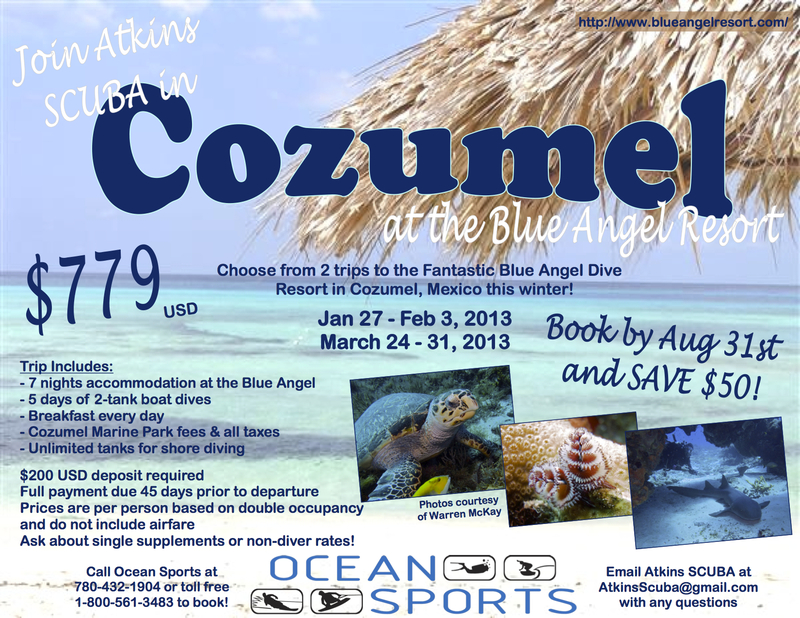 Two trips to Cozumel in 2013! Hello! As we noted in this post, we’re currently in Cozumel working with our beloved Blue Angel Resort to make the Blue Angel Scuba School a vibrant and exciting training venue. We’d love it if you’d come visit, and to make it easy for you to do that, along with some like-minded diving friends, we’re putting together two group trips in 2013. Check out these details, and when you have questions send us an email! Thanks to our friends Amy Walczak and Warren McKay for their support in poster-making and photographs. Amy is a self-proclaimed dive junkie; you can read her fantastic blog here, and check out Warren’s photo blog here!